The Tardis arrives in December 1986 at a South Pole Space Tracking station where the personnel under the command of General Cutler are engaged in trying to talk down a manned space capsule that has got into difficulty. The base is invaded by a force of alien Cybermen. The Cybermen&#39;s world Mondas is draining energy from Earth - once its &#39;twin planet&#39; - and the situation will soon become critical. 50 years after its only UK broadcast on BBC One, one of Doctor Who's most celebrated, lost adventures is regenerated, with a brand new hand-drawn black and white animation, synchronised with a digitally remastered recording of the original 1966 audio. The six-part adventure takes place immediately after the first regeneration, as the Time Lord and his companions, Polly (Anneke Wills) and Ben (Michael Craze), do battle with an old foe on the mysterious planet Vulcan. How will Polly and Ben cope with a new Doctor? How will the Doctor take to his new body? And how will they ever overcome the power of the Daleks? Patrick Troughton's Doctor encounters the Cybermen in London in this classic adventure narrated by Frazer Hines. Arriving on Earth in 1975 the Doctor Jamie and Zoe discover that the component manufacturers International Electromagnetics has a vice-like grip on the world's technology. When he encounters the firm's company director the Doctor realises that there is something very odd about Tobias Vaughan... Vaughan is in fact in alliance with the Cybermen and together they are masterminding an aggressive invasion of Earth. If the Doctor and his friends are to defeat them they must risk life and limb in an adventure of epic proportions. The Tardis arrives in 2070 AD on the Moon where a weather control station under the command of a man named Hobson is in the grip of a plague epidemic - in reality the result of an alien poison planted by the Cybermen. Polly realises that as the Cybermen&#39;s chest units are made of plastic they must be vulnerable to attack by solvents. She and her friends manage to destroy all the Cybermen on the base with a &#39;cocktail&#39; of such chemicals shot at them through fire extinguishers. A second wave of Cybermen advances across the lunar surface but prompted by the Doctor Hobson uses the base&#39;s gravity-generating weather control device the Gravitron to send them flying off into space. Special Editions of three classic Doctor Who DVD releases. Remastered. Repackaged. Reappraised. The Tomb of the Cybermen: Special Edition For centuries, the disappearance of the Cybermen from the universe has been a mystery. The Doctor, Jamie and Victoria arrive on Telos &ndash; once the Cyber home world &ndash; just as an Earth expedition uncovers the entrance to a long-lost control centre filled with baffling technology. Special Features: Morris Barry Introduction - The director&rsquo;s introduction from the 1993 VHS release. Title Sequence - Tests and build-up elements for the Patrick Troughton title sequence. Late Night Line-Up - behind the scenes at the BBC Visual Effects department to interview Jack Kine. The Final End - The Evil of the Daleks is mostly missing from the BBC archives. A small taste of the climactic battle&hellip; Abominable Snowmen Audio Trailer Coming Soon Trailer Production Subtitles The Lost Giants - Cast and crew look back on the making of the story. The Curse of the Cybermen&rsquo;s Tomb - Sir Christopher Frayling and Dr Debbie Challis examine the ancient Egyptian origins to the story. Cybermen &ndash; Extended Edition - A history of the Cybermen. The Magic of VidFIRE - A look at the technology behind the VidFIRE process. Sky Ray Advert - 1960&rsquo;s Doctor Who themed promo for Walls Sky Ray ice lolly. Photo Gallery Radio Times Listings The Three Doctors: Special Edition The Time Lords are in crisis. A powerful force is draining their energy into a mysterious Black Hole - and they must recruit the Doctor to save them. But one Doctor isn&rsquo;t enough for this mission... Commentary Happy Birthday To Who - A brand-new look at the making of this anniversary story. Was Doctor Who Rubbish? - Raising a defence against criticism of the classic series. Girls, Girls, Girls &ndash; The 1970s Katy Manning, Caroline John (Liz Shaw) and Louise Jameson (Leela) on being a 1970s Doctor Who girl. Pebble Mill At One - Archival interview with the second Doctor Patrick Troughton and visual effects wizard Bernard Wilkie. Blue Peter Jon Pertwee introduces the Whomobile. BSB Highlights Cast and crew discuss The Three Doctors The Five Faces Of Doctor Who - The full trailer for the 1981 repeat season which included The Three Doctors. BBC1 Trailer 40th Anniversary Trailer Radio Times listings Production Subtitles Photo Gallery Coming Soon Trailer Digitally remastered picture and sound The Robots of Death: Special EditionThe TARDIS, carrying the Doctor and his new companion Leela, arrives aboard a huge sandminer on a deserted world. The small human crew rely almost entirely on robots to carry out their every task and whim while they mine the planet&rsquo;s rich minerals.Special Features: Commentary 1 - Original release commentary. Commentary 2 - New commentary with actors Tom Baker (the Doctor), Louise Jameson (Leela) and Pamela Salem (Toos), and director Michael E Briant. The Sandmine Murders - Cast and crew look back at the making of the story. Robophobia - Toby Hadoke takes a humorous look at the history of robots. Studio Sound - Example of a studio scene before the robot voice effects were added. Model Shots Black and white time-coded recording of the original model insert film. Studio Floor Plan - Interactive view of the studio layout via the original floor plan drawings. Unseen in the UK for 45 years &amp;ndash; marvellously restored and remastered and brought back to life for you to own on DVD. The TARDIS narrowly avoids becoming engulfed in a cobwebby substance in space. It arrives in the London Underground railway system the tunnels of which are being overrun by the web and by the Great Intelligence&#39;s robot Yeti. The Intelligence&#39;s goal is to drain the Doctor&#39;s mind; can the Doctor sabotage the device before the Intelligence&amp;rsquo;s plan comes to fruition? Keith Michell stars as England's infamous fickle king in this splendid period production. Tudor England comes to life as each wife's story unfolds from Catherine of Aragon to Catherine Parr. Each of the world's major cities has its best detective agency and each of these has its best agents; super-agents like The Protectors.The most sensitive baffling dangerous assignments are handled by this trio of adventurers with no equal among private eyes. In their nerve-tingling assignments they function as a highly trained team but they know that the next mission might mean death - and they live as if each moment were their last. Robert Vaughn stars as Harry Rule the suave American who leads their operations and works from a London office; Nyree Dawn Porter is the elegant Rome-based Contessa di Contini and Tony Anholt is Paul Buchet a French agent operating out of a Paris apartment. Produced by Gerry Anderson and Reg Hill (Thunderbirds) this glossy stylish series was one of ITC's most lavish and ambitious projects boasting intriguing action-packed storylines and location filming in some of Europe's most glamorous cities. John Thaw Diana Quick Stephanie Beacham Peter Bowles Patrick Troughton and George Baker are among the many stars making guest appearances while Tony Christie sings the show's theme tune Avenues and Alleyways - a UK Top 40 hit on its re-release in 2005. 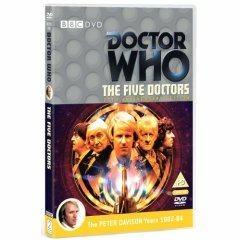 This 7-disc set comprises all 52 half-hour episodes originally aired between 1972 and 1974.